Start at least 25 m in from headland and at least 3 beds from the edge of the crop. Make sure you cross the whole crop area especially if it has different seed sizes planted in it. 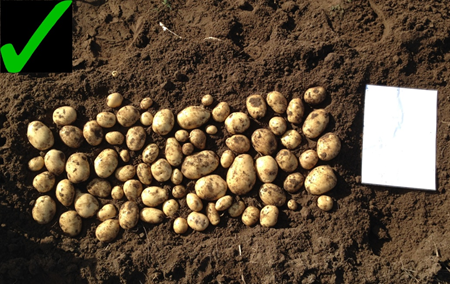 Calculate the row width of the planting system to enter into the ‘dig details’ section in the app. 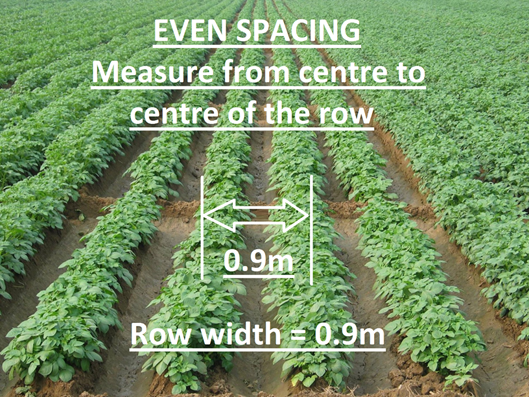 For uneven width rows such as a bed system please make sure you determine the average row spacing to ensure accurate weight estimation. If in doubt check with the field manager. 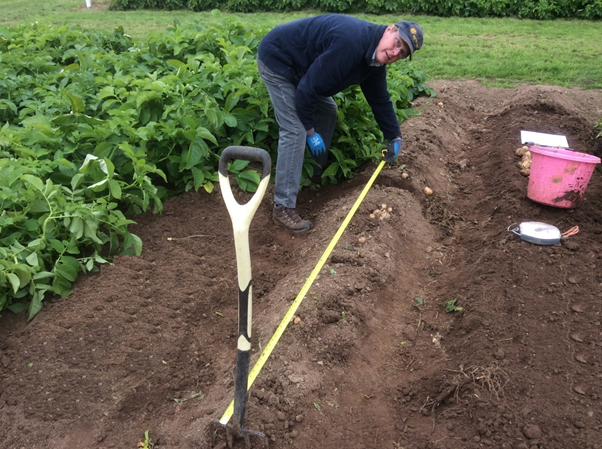 Measure the length of row you are going to dig and enter this into the ‘dig details’ section of the app. 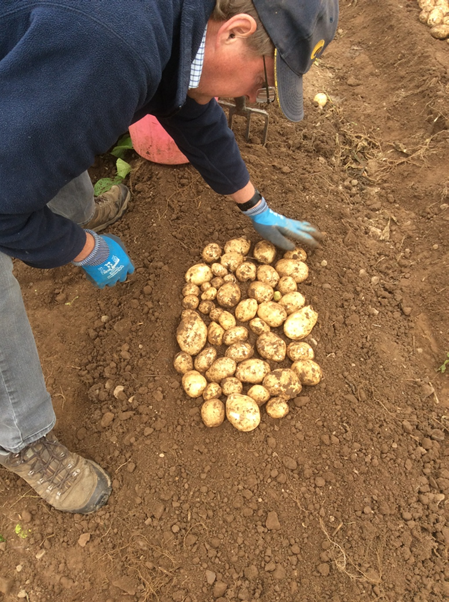 Ensure you are accurate with the measurement and only take the tubers in the dig area. A suggested good length is 2 metres. 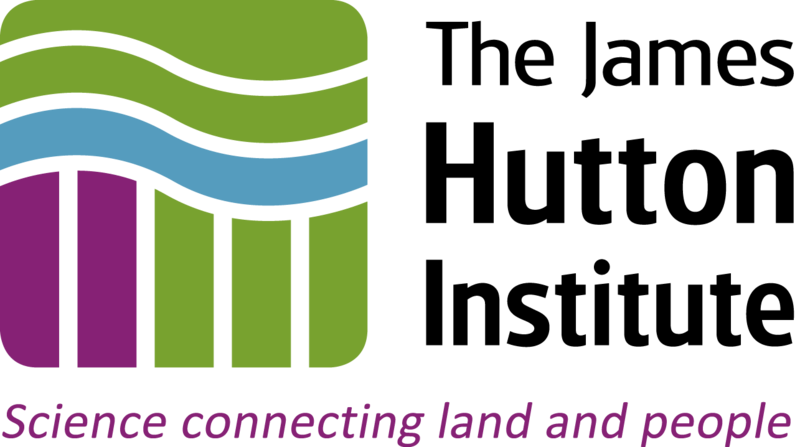 Flatten the soil where the sample has been collected and lay the tubers out on the soil surface. 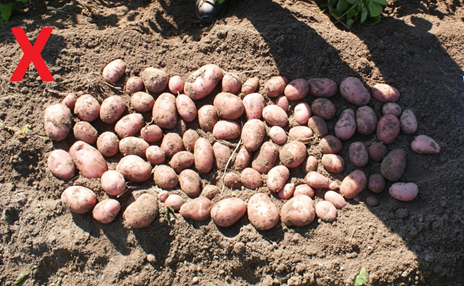 Ensure the tubers are not over lapping and are in a group. 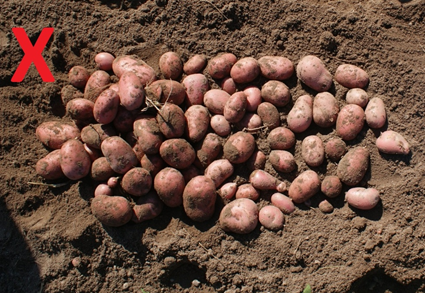 Remove any soil that might hide or distort the shape of the tuber. Ensure there are no shadows, foliage or any other objects obscuring the potatoes. 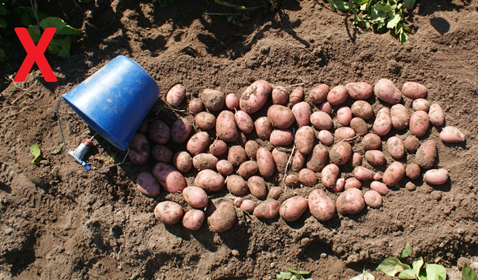 Place the reference sheet next to the sample of potatoes, make sure the sheet is not obscured by soil or any other object. 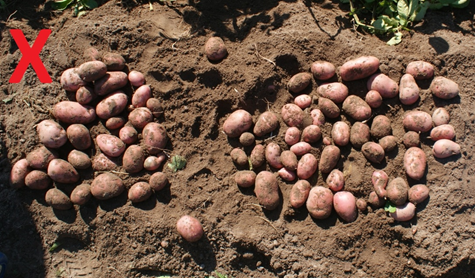 Take a photo directly from above the sample of potatoes. Make sure the reference sheet is included in the frame. Avoid under or over exposure of the image. Once the sample is collected, if a yield estimate is required weigh the sample and enter the weight into the ‘dig details’ section in the app. Use the app to send the sample photo for processing and analysis. Once the image has been successfully processed your account will be charged for the analysis of the photo.